miranda anarella This deal is active and its working. 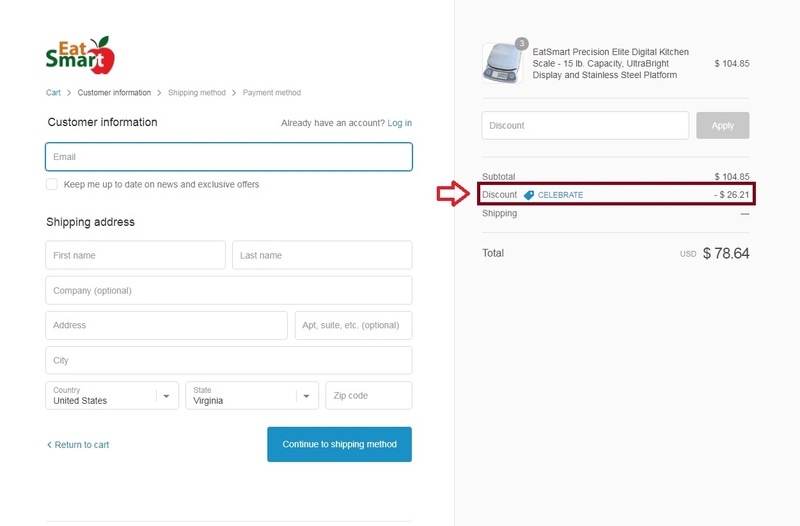 Just apply the promotional code in the apply promo code field and you will see your discount. @fsfm062 I am validating that this deal works as described. 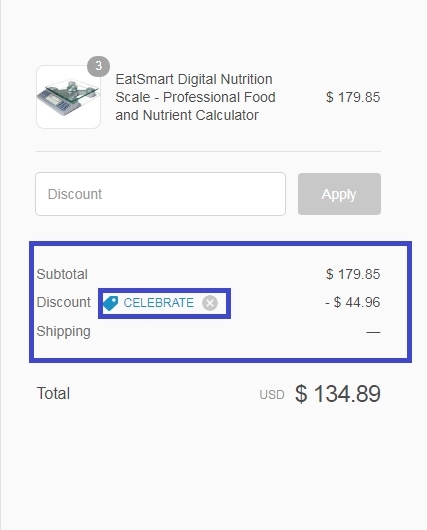 @Imblack 25% Off Entire Purchase at EatSmart Products. 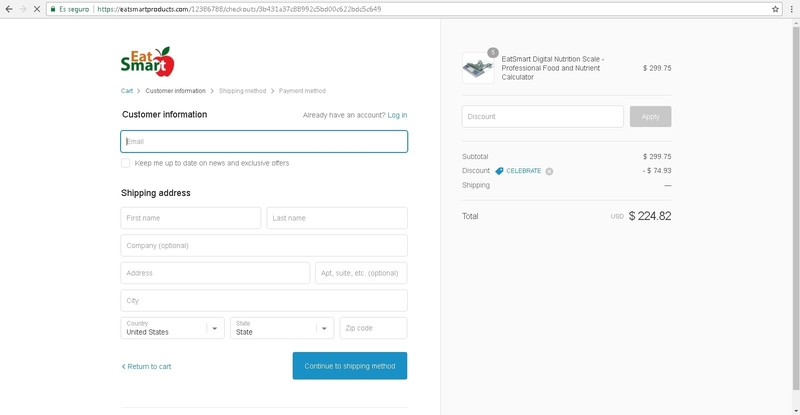 This is a good promotional code for this store, you will get a great discount after applying the code. Janet Giessl This deal works as described. 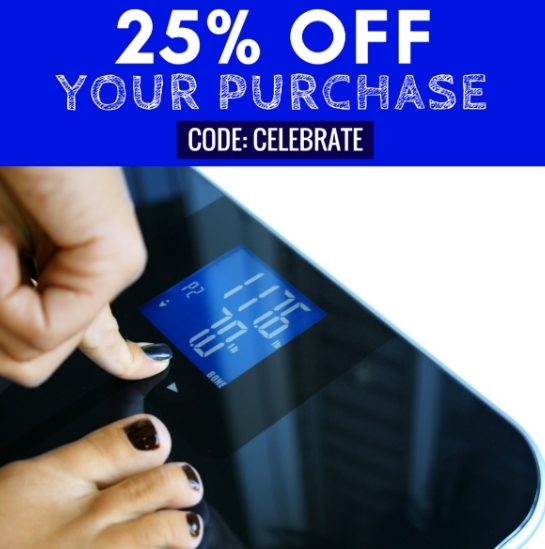 Just enter the code CELEBRATE at checkout and you will save 25% on your entire order. ismael almeida I am validating thatthis deal works as described. 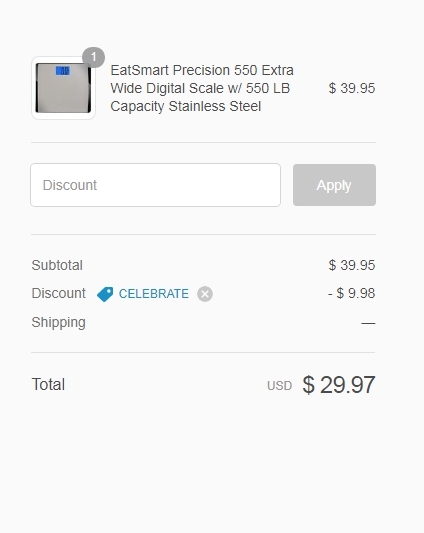 Enter code and get 25% Off Entire Purchase at EatSmart Products (Site-wide). This is a limited time offer. Autumn Eaton Take 25% off you entire order. Add items to cart, enter promo code CELEBRATE at checkout for discount. No expiration date listed- limited time only.